Here's our guide on how to hit a golf ball from tee to green, as part of the Fortnite Week 5 Challenges. The Fortnite Week 5 Challenges, which as usual were leaked earlier this week, task you to 'Hit a golf ball from tee to green on different holes'. 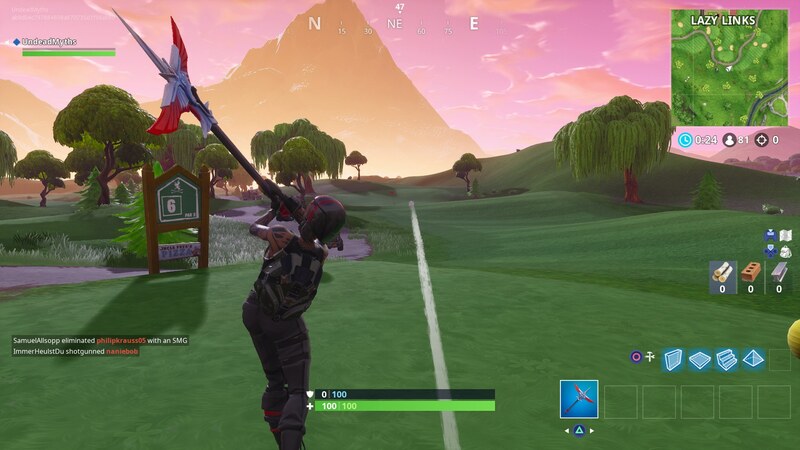 In this Fortnite Hit a Golf Ball guide, we'll be walking you through all the steps necessary to complete this challenge for the halfway point in Fortnite Season 5, detailing exactly how to hit a golf ball from different tees, so you can wrap this challenge up quickly and easily. If you instead need help with any other areas of the ongoing Battle Royale seasonal event, you’ll want to head over to our complete Fortnite Season 5 guide. It’s in this guide that you can find all the information you need on when the season is due to draw to a close, and a complete list of all the various character skins that other cosmetic items that you can earn while Season 5 rolls on. 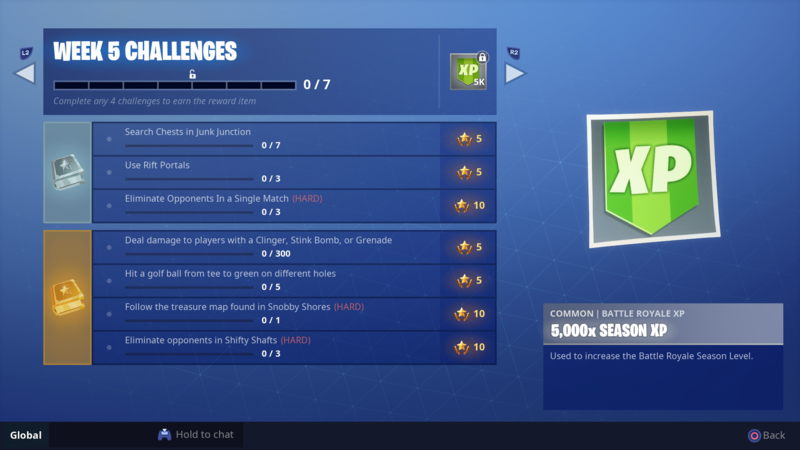 As you probably know by now, there are always seven brand new challenges available every Thursday in Fortnite Battle Royale, and Epic tweaked the challenge list earlier in Season 5, so that three of the seven can be completed even if you don't own the latest Battle Pass. If you want a complete guide on how to complete the six additional challenges for this week of Battle Royale, you’ll want to check out our Fortnite Week 5 Challenges guide. To kick off this challenge for Fortnite Season 5, you’ll firstly need to have the Golf Ball Toy equipped to your Battle Royale character. Note that this can only be unlocked if you’ve levelled up your Season 5 Battle Pass to at least tier 27, which unlocks the Golf Ball Toy for use. In other words if you’re lagging behind tier 27, you’ll need to get ranking up quickly! 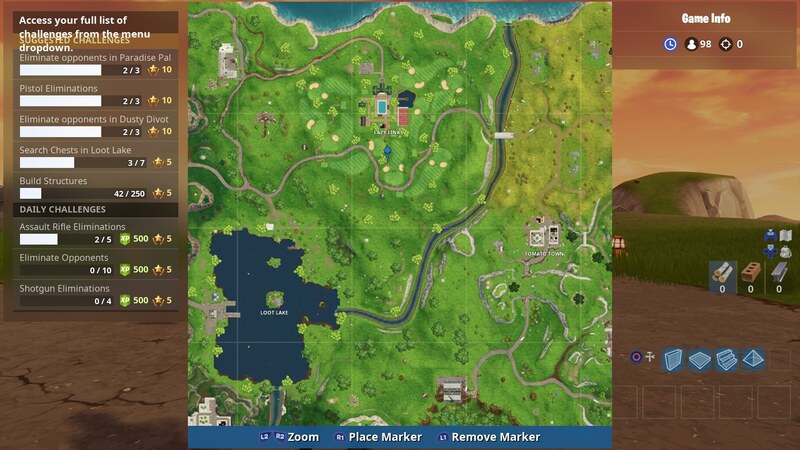 Now that you’ve got the Golf Ball Toy equipped, you’ll need to head to the Lazy Links area on the Fortnite Battle Royale map, which can be found within square F3. 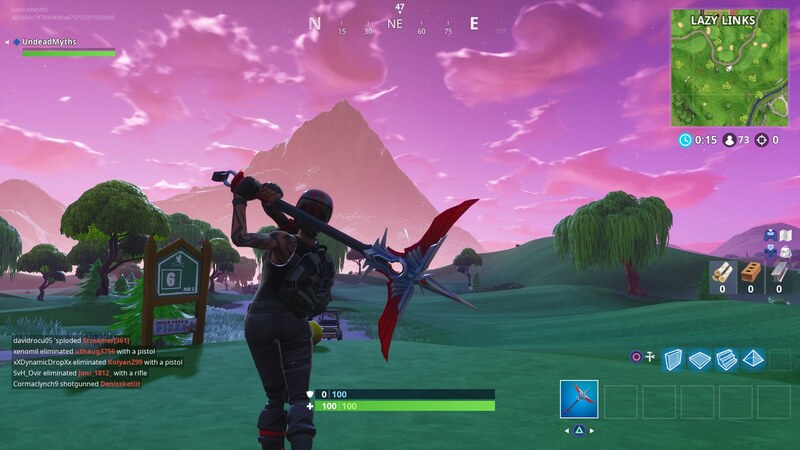 Now head just south from the main, large building compound at Lazy Links, and you’ll be stood in the middle of a golf course. 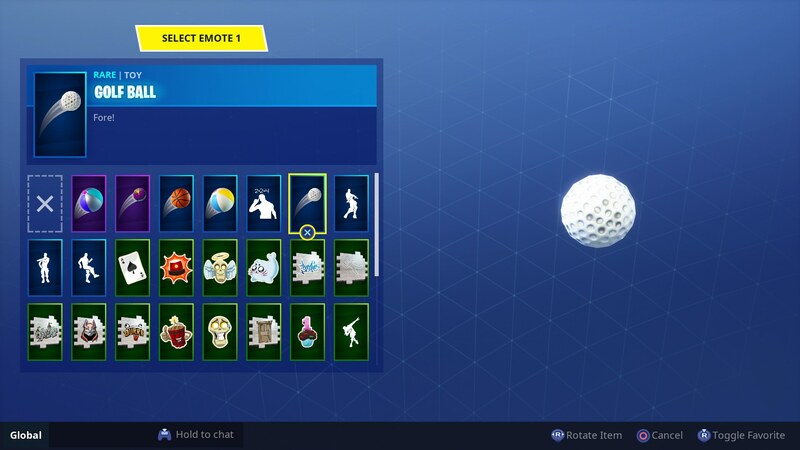 You now need to use the emote with the Golf Ball Toy, to hit the golf ball from the emote onto five different green areas on the course. You need to aim the golf ball using the crosshairs, and the higher up into the air you aim, the further the golf ball will travel. You need to hit the ball from the different white tees on the course, a total of five times. We’d highly recommend completing this particular Fortnite Week 5 Challenge in the 50 v 50 mode, since this gives you far more time to comfortably hit the golf ball, without being shot at by 99 other players. If you need help completing any of the other Fortnite Week 5 Challenges you can always head over to our Junk Junction chests guide for the location of every chest in the area, or our Fortnite Week 5 Treasure Map Challenge guide, for instructions on how to follow the treasure map from Snobby Shores.